Can I keep my tools or business equipment? For a self-employed person, this is an important question when considering bankruptcy. Keeping your equipment is critical to keeping yourself employed in your trade. Fortunately, North Carolina provides an exemption for tools of the trade. In some cases, this exemption can very helpful for retaining tools, equipment, professional books, and other such items. Exemption laws reflect the ideal that people ought to be entitled to keep a modest amount of property in order to maintain a modest standard of living and gainful economic activity. Exemptions for tools of the trade particularly reflect this policy ideal, and were intended to allow tradesmen and other self-employed persons to continue with their trade and livelihood. North Carolina's trade tools exemption, in NCGS § 1C-1601(a)(5) provides an exemption for: "The debtor's aggregate interest, not to exceed two thousand dollars ($2,000) in value, in any implements, professional books, or tools of the trade of the debtor or the trade of a dependent of the debtor." The $2,000 limit of the exemption is fairly modest. The exemption is most likely to help people in trades and business that aren't particularly capital-intensive. For people engaged in business with more expensive assets, they may either need to turn to the wild card exemption, chapter 13 bankruptcy, or in the extreme case, chapter 11 bankruptcy. The tools of the trade exemption is a individual exemption, that applies to property directly owned by the individual debtor. Property that is owned via a legally distinct entity, such as a corporation or LLC, cannot be directly exempted. Instead of owning equipment, the debtor owns an interest in a company. It would be an unusual situation where corporate stock could be exempted as a tool of the trade. All is not lost if equipment is owed by a business entity. For one, if the entity has debts or obligations, those reduce its net worth. Lower net worth on a company means the stock is more likely to be protected under other exemption laws. Additionally, there may be practical or legal impediments to a bankruptcy trustee quickly taking control of and liquidating the assets of a corporation. Such impediments are very fact-specific, and careful evaluation by an attorney is especially important in such a situation. What is a trade tool for one person may not be a trade tool for another person. 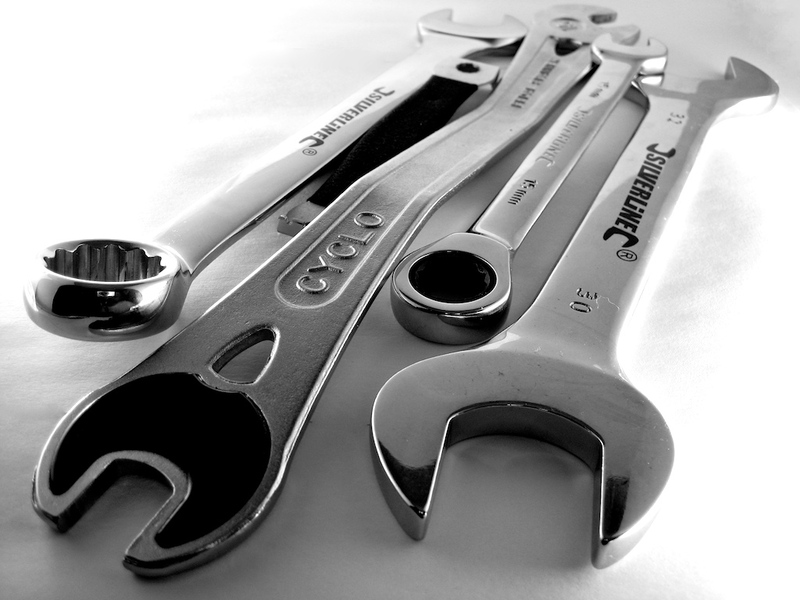 A set of bicycle repair tools might be a trade tool for someone who sells bicycle repair services. For an avid cyclist, the tools likely are just household goods. The NC statute covers both trades of the debtor and of the debtor's dependents. Accordingly, if the debtor owns tools that he or she does not use in business, but a dependent such a spouse or child uses in business, the exemption may still be available. Debtors will occasionally attempt to use the $2,000 of the tools of the trade exemption to augment another exemption. For example, an attempt might be made to claim a vehicle worth more than the $3,500 North Carolina motor vehicle exemption as both a motor vehicle and a tool of the trade. There is not much case law in this area, but cases such as In re Trevino, 96 B.R. 608 (Bankr. E.D.N.C. 1989), suggest such a claim of exemption only works to the extent a vehicle has been specially outfitted for a trade. Keeping equipment is just one consideration for self-employed people contemplating bankruptcy, and other aspects can be relevant as well. Our firm is glad to assist self-employed people who desire bankruptcy debt relief. Tools by zzpza, licensed via a creative commons license, original at http://www.flickr.com/photos/zzpza/3269784239/. Erich Fabricius, a Raleigh Bankruptcy Lawyer, offers bankruptcy counsel to individuals throughout the greater Raleigh area. Chapter 7 bankruptcy is still an option for many consumers, and Erich offers a free evaluation to help you decide if chapter 7 is right for you. Erich's priority is getting each person the debt relief they deserve.